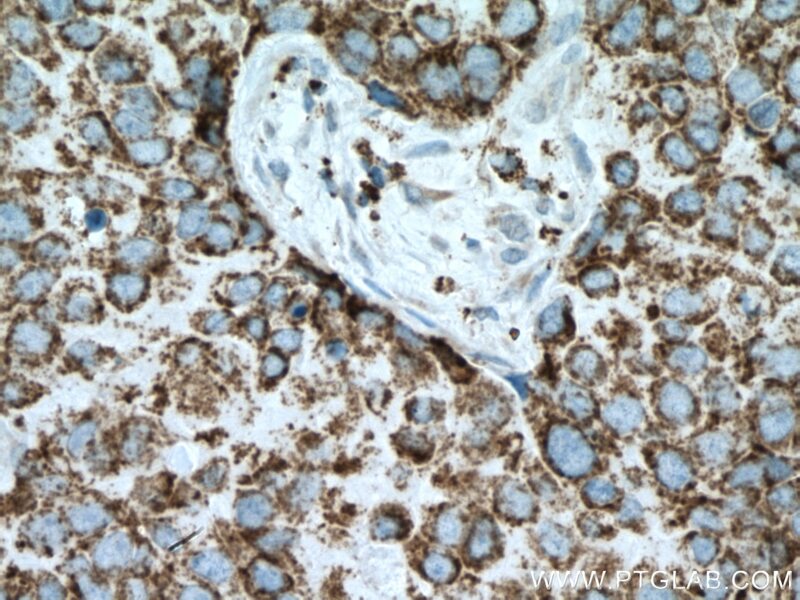 Immunohistochemical analysis of paraffin-embedded human breast cancer tissue slide using 14892-1-AP (PCK2 antibody) at dilution of 1:200 (under 10x lens) heat mediated antigen retrieved with Tris-EDTA buffer(pH9). 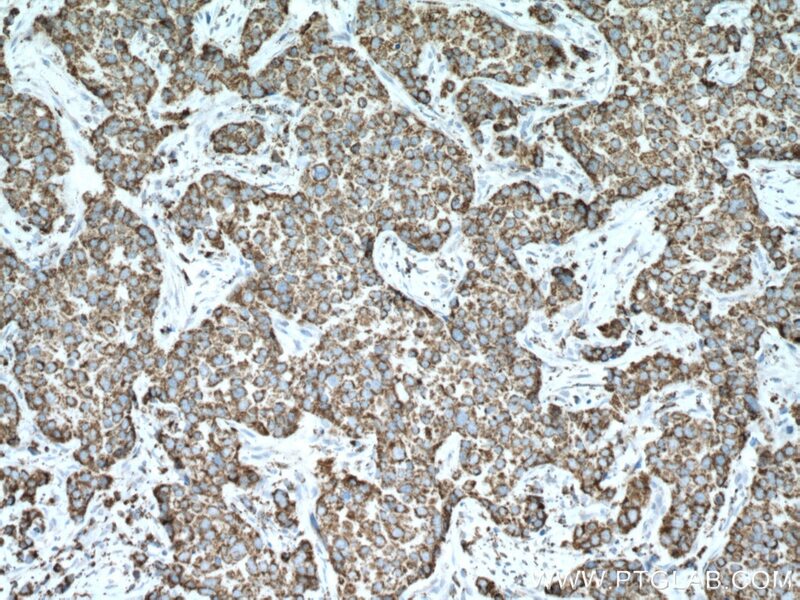 Immunohistochemical analysis of paraffin-embedded human breast cancer tissue slide using 14892-1-AP (PCK2 antibody) at dilution of 1:200 (under 40x lens) heat mediated antigen retrieved with Tris-EDTA buffer(pH9). 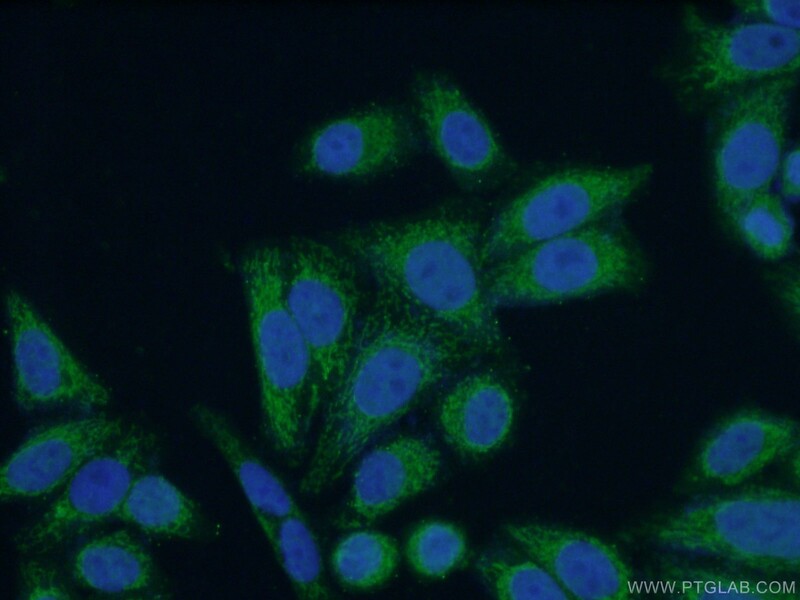 PCK2(phosphoenolpyruvate carboxykinase [GTP], mitochondrial) is also named as PEPCK2, PEPCK-M and belongs to the phosphoenolpyruvate carboxykinase [GTP] family. It catalyses the irreversible conversion of oxaloacetate to phosphoenolpyruvate, an important initial step in hepatic gluconeogenesis.Defects in PCK2 are the cause of mitochondrial phosphoenolpyruvate carboxykinase deficiency (M-PEPCKD). It has 2 isoforms produced by alternative splicing with the molecular weight of 71 kDa and 48 kDa. TCF7L2 involvement in estradiol- and progesterone-modulated islet and hepatic glucose homeostasis. Betaine supplementation in maternal diet modulates the epigenetic regulation of hepatic gluconeogenic genes in neonatal piglets. 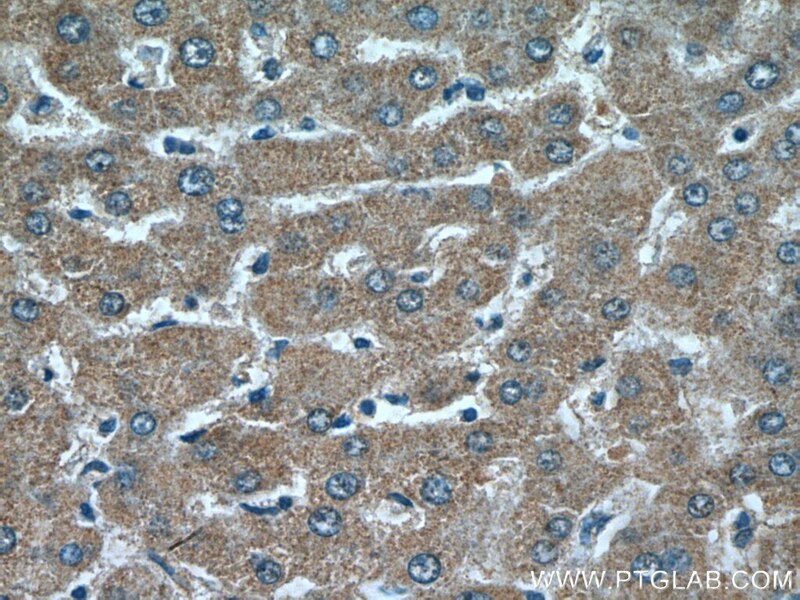 Immunohistochemical analysis of paraffin-embedded human liver cancer tissue slide using 14892-1-AP (PCK2 antibody) at dilution of 1:200 (under 10x lens). 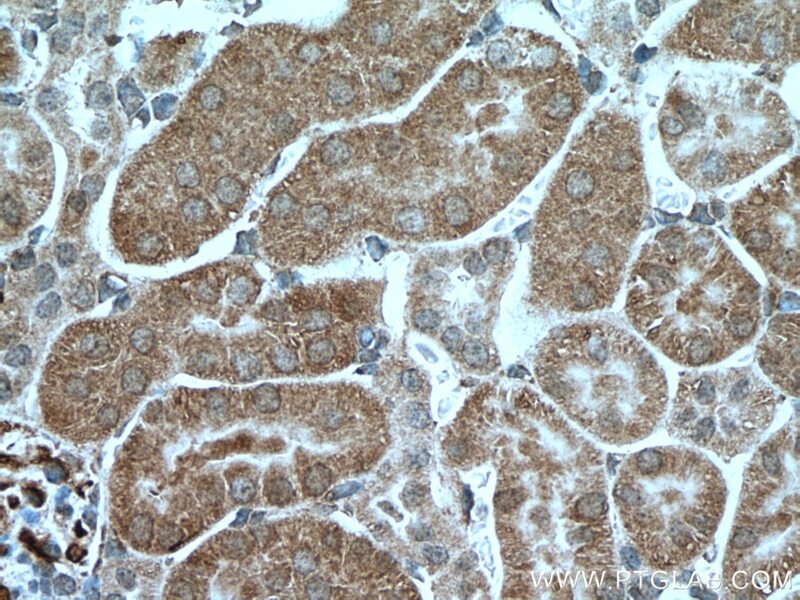 Immunohistochemical analysis of paraffin-embedded human liver cancer tissue slide using 14892-1-AP (PCK2 antibody) at dilution of 1:200 (under 40x lens). 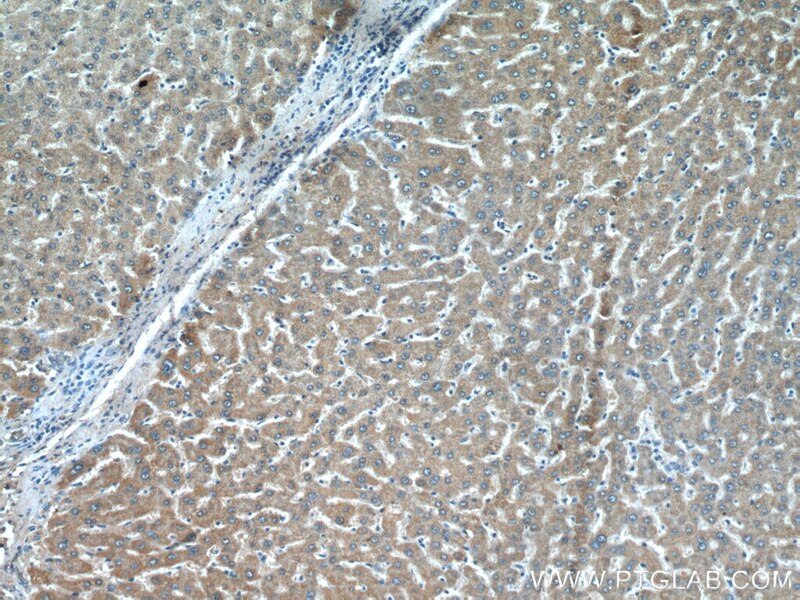 Immunohistochemical analysis of paraffin-embedded mouse kidney tissue slide using 14892-1-AP (PCK2 antibody) at dilution of 1:200 (under 10x lens) heat mediated antigen retrieved with Tris-EDTA buffer(pH9). 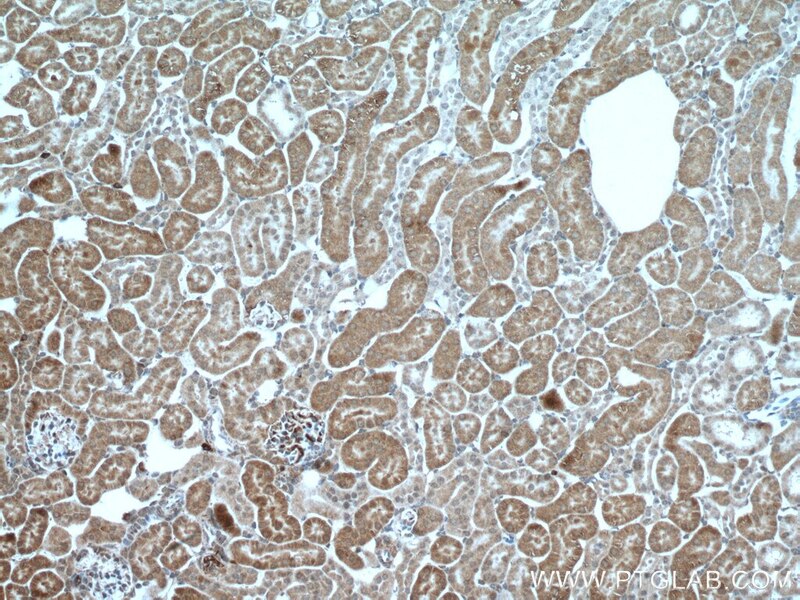 Immunohistochemical analysis of paraffin-embedded mouse kidney tissue slide using 14892-1-AP (PCK2 antibody) at dilution of 1:200 (under 40x lens) heat mediated antigen retrieved with Tris-EDTA buffer(pH9).